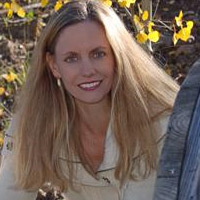 Linda holds a Master’s Degree in School and Clinical Mental Health Counseling from Highlands University. Her Bachelor of Arts degree is in International Studies with a Concentration in Political Science from the University of North Carolina at Chapel Hill. For the past five years, Linda has been teaching Social Studies and Gifted and Talented Education at Los Alamos Middle School. She is a professional member of Supporting the Emotional Needs of the Gifted (SENG), the National Association for Gifted Children (NAGC), and the American Counseling Association (ACA).